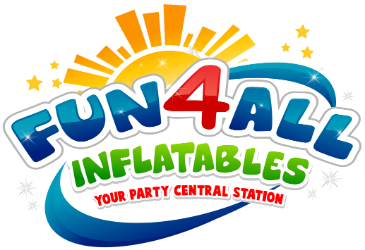 Obstacle Course Rentals from Fun 4 All Inflatables is your cornerstone piece to any large event. It will attract ages from 4 and up and keep everyone coming back for another turn. Our obstacle courses will have you running, sliding, climbing, crawling and of course having FUN! You will need an obstacle course for any school carnival, festival, fund-raiser, company picnic, nerf birthday party! Our obstacle course rentals are for a rental period of 1-6 hours with additional hours upon request. A $50 deposit is required for every reservation and the remaining balance is due by cash or check, we will collect payment upon delivery.